Today, performers, audiovisual authors’ (screenwriters and directors) and their representative organisations came together in the European Parliament at an event co-hosted by MEPs Marc Joulaud (EPP), Mary Honeyball (S&D) and Helga Trüpel (Greens/EFA), to highlight the realities and needs of performers and audiovisual authors in the Digital Single Market. Performers and audiovisual authors are at the heart of the creative process. Yet, the vast majority of them are not fairly remunerated when their works are used via on-demand services such as iTunes, Netflix and Spotify due to mainstream contractual practices. The new EU Copyright Directive presents a unique opportunity to make it right and guarantee performers and audiovisual authors a fair remuneration for their contribution to the ever-growing on-demand market wherever in the EU. Transparency obligations are important and part of achieving a fairer environment for authors and performers. However, this alone will not guarantee that a fair share of the value also ends up in the pockets of performers and audiovisual authors. 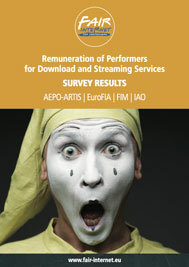 Therefore AEPO-ARTIS, FERA, FIA, FIM, FSE, IAO and SAA call upon Members of the European Parliament to introduce an unwaivable right to equitable remuneration for on-demand use, paid by on-demand platforms and subject to collective management. It is a simple but effective mechanism which will allow performers and audiovisual authors to take part in the success of the Digital Single Market. And, most of all, it is a fair and a much overdue acknowledgement of their role in the creative industries and societies. Julie Bertuccelli, Director (France) said: “It is a true pleasure as a director to see my films being shown around the world. However, in order to make a living from my art, my collective management society must be able to represent my rights and negotiate equitable remuneration with those exploiting my works, including video-on-demand platforms“. Murray Head, Musician and Actor (UK) said, “If on-demand platforms earn money then so should the musicians, singers, actors and audiovisual authors. Yet we still see that performers and audiovisual authors find it difficult to make a decent living from their work. The law failed to sufficiently protect us“. Marc Joulaud (EPP) said, “Creative content has the power to unite us, to teach and transmit values and to enrich our lives. I have always said that artists cannot be paid a pittance for their work. 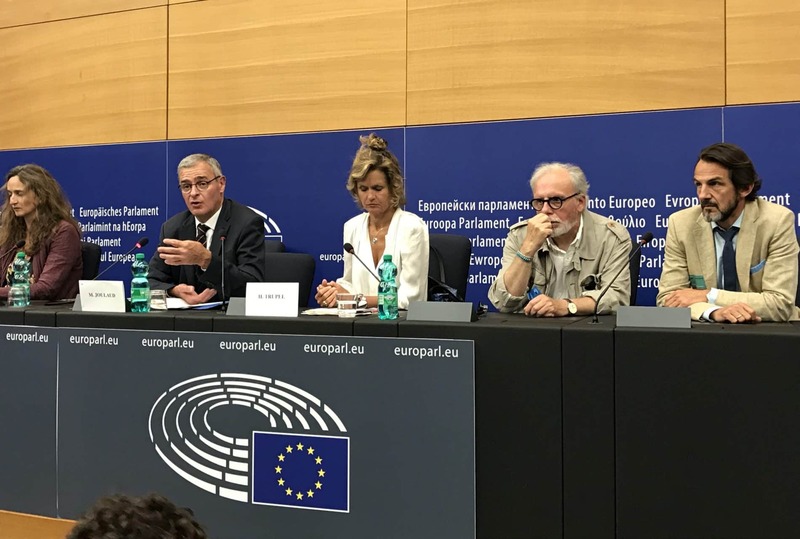 If culture is high on the EU’s political agenda, then REAL measures are needed to support the livelihoods of all performers and audiovisual authors in Europe“. Mary Honeyball (S&D) said, “As politicians it is time to turn our sympathy for Europe’s performers and audiovisual authors into concrete actions. The upcoming vote on the review of the EU Copyright Directive in the Legal Affairs committee will hopefully support giving a brighter future to hundreds of thousands of performers and audiovisual authors“. Helga Trüpel (Greens/EFA) said, “From a legislative point of view, the upcoming vote is a pivotal moment for culture, and the performers and audiovisual authors that help define it. I am fully supportive of introducing an unwaivable remuneration right which has already been supported by the European Parliament’s Culture committee in its opinion adopted in July 2017“.